Do you sometimes have questions about faith? Immanuel is passionate about thinking critically and acting faithfully, following the compassionate peaceful path of Jesus. We seek to support and challenge each other in being God’s loving presence in our neighborhood and world in very concrete ways. We are people who trust God’s promises—so we can live, act and vote out of hope, rather than fear. 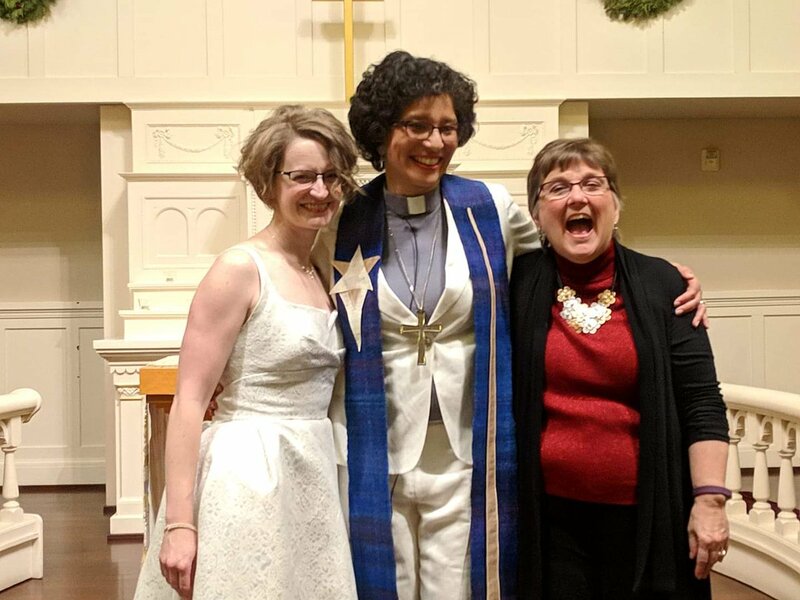 Immanuel is a place of welcome for all people – no exceptions! Let’s worship together on Sundays. 9:00 am Sunday Morning Live! In case of Inclement Weather, only essential services will occur onsite. ICS Recovery Men Shelter in place. ICS Hygiene Service open as able. See icsseattle.org or call 206-622-1930 to confirm. Worship services occur as able and as scheduled. During this time of increased construction in our neighborhood, public transit if strongly encouraged. However, if you must drive, please allow extra time to find parking as you navigate the daily road closures. While we regret the inconveniences, we hope they don’t dissuade you from coming to Immanuel and participating in the services. A resource from our monthly Forums on Anti-Racism is now live on the church website. Check it out! 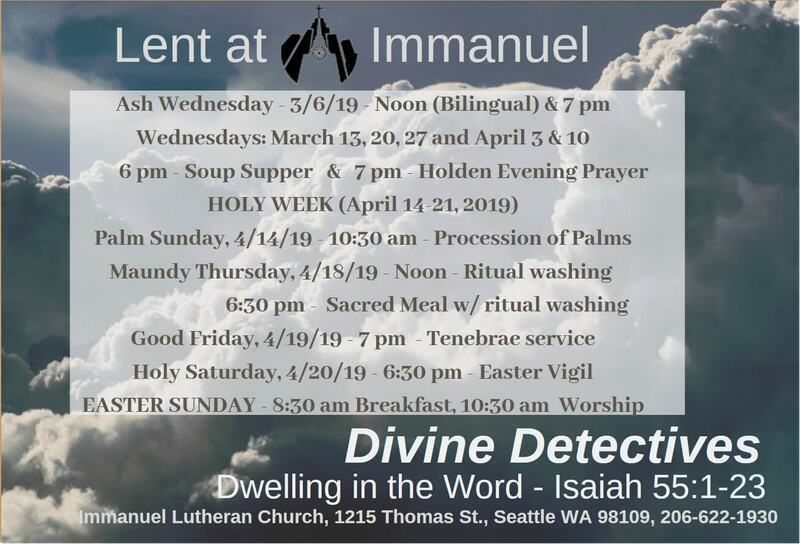 Immanuel Lutheran Church shared a post. There will be a Mass at St. James Cathedral to honor and remember those impacted by violence in Sri Lanka. Thank you, Paul Algeo for your presence and leadership in our midst.Episode 10 out now! Paul Algeo PharmD, PA-C discusses how his spirituality and sexuality have lead him to his dream job of providing primary care to the LGBTQ+ community. Giving Thanks for the women who lead us in worship. The black Lutheran church began as early as 1620 by most accounts. Explore the rich history of the African descent Lutheran movement with Lutheran historian Dr. Richard Stewart, Pastor Lucille Mills and Pastor Albert Starr. Church Office remains closed on February 12 due to Inclement Weather. Email is the best way to reach staff during this time.